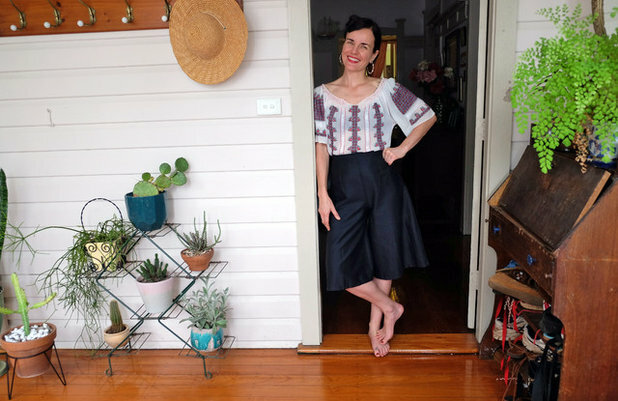 Genna Pyewacket is helping revive the art of using botanical shrubs by mixing these delicious drinks in the kitchen of her Lismore, NSW, home, planted among all the things she holds near and dear. 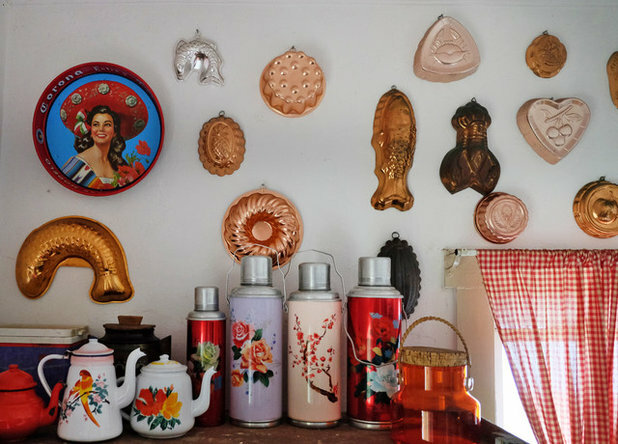 That means displaying – on walls, floors, in cabinets and on door knobs – the hundreds of vintage collectables she has been gathering for more than 20 years. 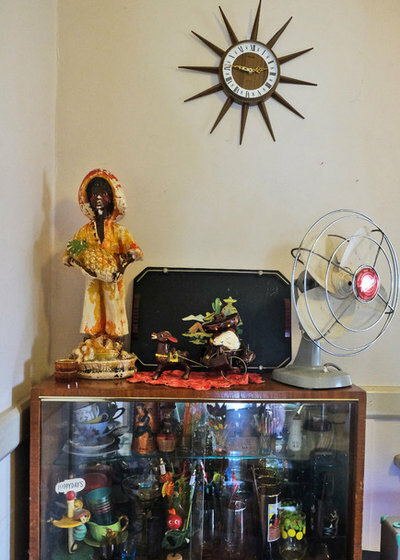 And, as is natural for someone with a passion for objects from the Great Depression and World War II, she doesn’t simply display these collectables, she uses them too. 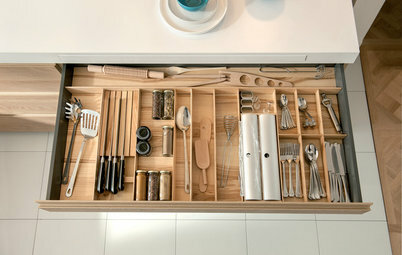 “They may be less efficient [than modern appliances] but they make up for it in beauty,” she says. 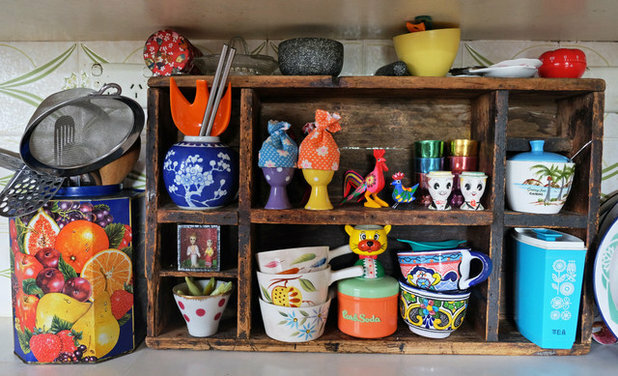 Sitting on top of this cabinet at the end of the kitchen is a chalkware statue, similar to the type that were once awarded at country shows as prizes for the best pumpkin or prize rooster. Genna bought the starburst clock at Sydney’s Glebe markets. 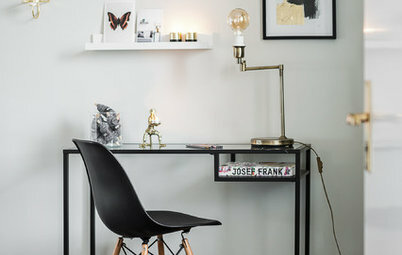 As a single parent, Genna also relates to the way these retro objects were made at a time when a lack of raw materials meant people were creative with their possessions and decor. “I love that no matter what was going on at the time, people always found a way to make things beautiful with that they had,” she says. 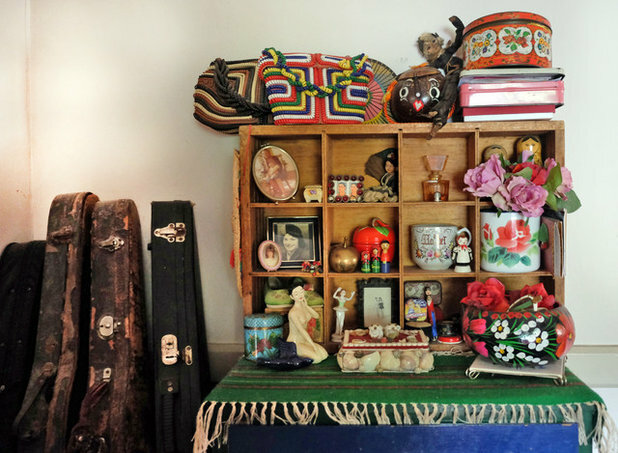 Among other things, Genna collects folk art, costume jewellery made out of wood, cork, early plastics and Depression-era glass, baskets, pottery and textiles. 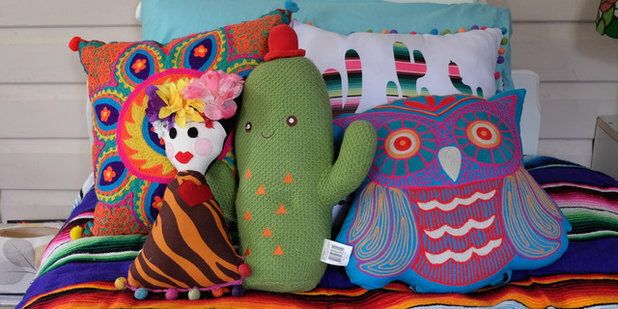 Adding to this colourful mix is Genna’s joyous personal style, which she describes as ‘Nana takes a trip to Mexico’. 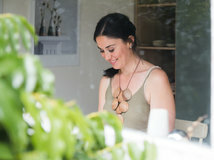 Genna’s kitchen, which is also a display area for her collection of copper moulds, is also the heart of her burgeoning business, Pyewacket’s Traditional Shrubs: a shrub being a fruit and herb-infused vinegar that can be a cordial or acid base for sauces or dressings, but is most often used in cocktail mixing and for botanical sodas. “Shrubs are a traditional method of preserving fruit and herbs in apple cider vinegar. The technique originated in the Middle East; the word ‘shrub’ comes from ‘sharab’, which means ‘drink’,” says Genna. During the Middle Ages, English explorers brought shrubs to what is now the UK, where they were used as medicines and nutritional supplements; the vitamins they preserved prevented diseases such as scurvy during long sea crossings. They were so tasty that shrubs were combined with spirits to make early cocktails from the colonial American times through to Prohibition, when they were served in bars in lieu of alcohol. It was only the advent of refrigeration that put them out of favour. Recently, along with many things healthy and handmade, shrubs have experienced a revival, particularly in the USA. And in Australia, small-batch makers such as Genna are beginning to win over the thirsty among us. 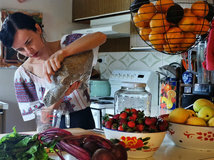 Fittingly, Genna begins the shrub-making process with raw produce. “I go out and source directly from producers,” she says. “That means driving out to pick lemon and orange trees on people’s properties. I also grow a lot of the herbs in my garden,” she says. 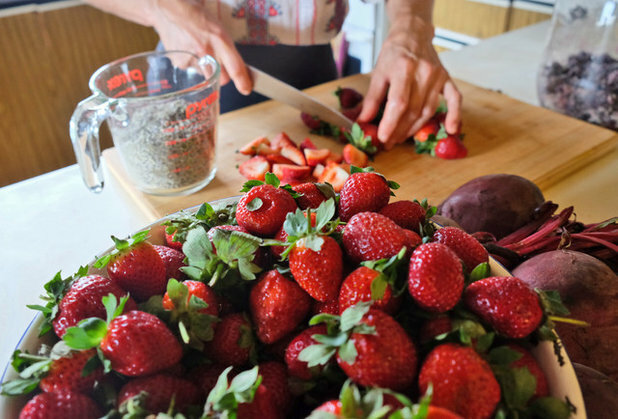 She begins with fruit, which she either macerates, juices or purees. 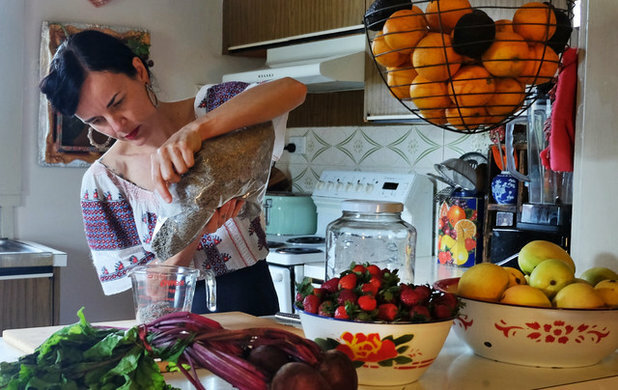 She then combines this with apple cider vinegar, raw sugar and herbs, and ferments the mixture. 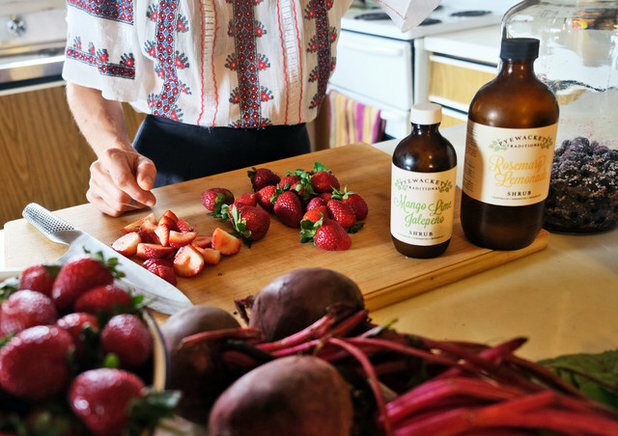 The mother culture of the apple cider vinegar preserves and fortifies the mixture; the shrub drink is essentially a probiotic cordial full of vitamins and whatever benefits each of its ingredients impart. From her first bottle in August 2017, she now produces hundreds of litres a month. And, like many budding entrepreneurs, she mixes regular paid work in her chosen field with many after-dark hours so she can spend quality time with her two children, Jet, 14 and Roxanne, 10. “Some days, after working and getting my kids to bed, I’m at it until 11pm. 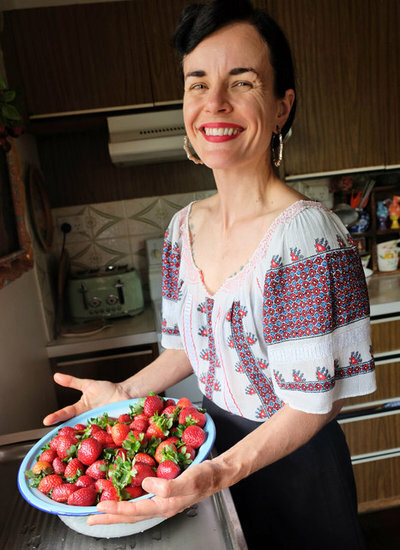 At the moment, production at home is essential as I’m juggling being a mum and working as a naturopath during the day,” she says. 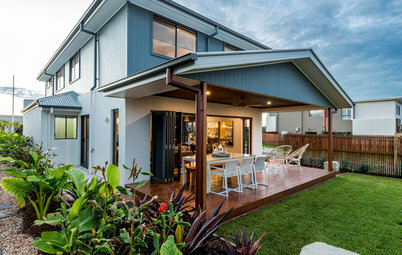 She also has three freezers and two fridges in the downstairs area of her house; all full to the brim with fruit and shrubs. 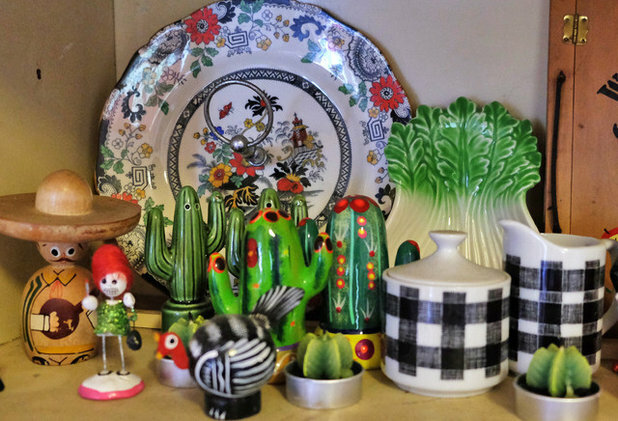 Genna’s kitchen features hundreds of knick knacks, including egg cups and salt and pepper shakers picked up on her trips to Mexico – the source of much of her aesthetic inspiration. 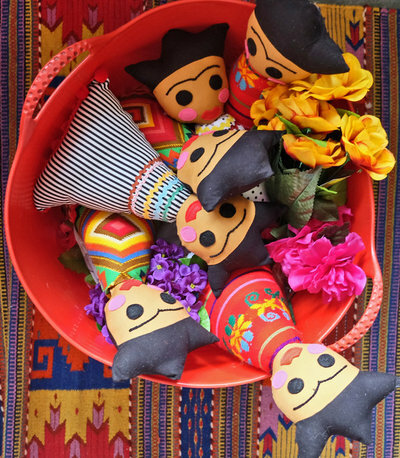 Genna is such an avid fan of the artist, she makes Frida Kahlo dolls. Pictured are her dolls-in- progress. “I give them to friends and sell a few on commission. 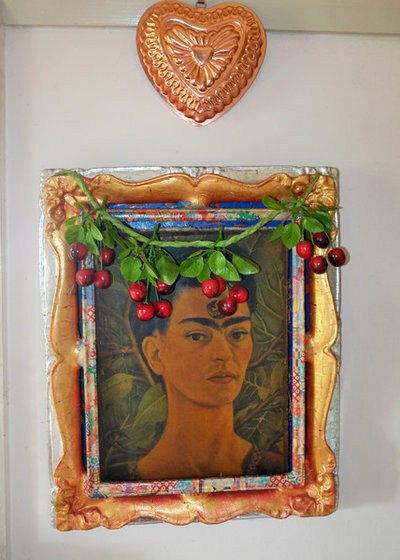 Every little girl needs a Frida role model early in life,” she says. 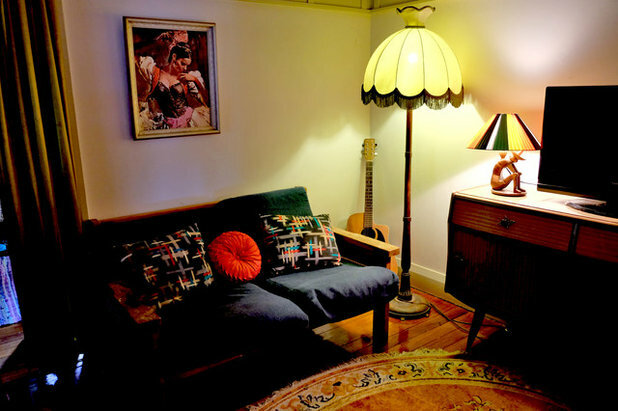 A vintage print of the flamenco dancer enlivens the living room. It was a gift from Genna’s oldest friend; the rest of the bits and pieces are from op shops and antique stores. Genna’s family has Romanian roots and she was raised by her grandmother in Canada, in a home with heavy religious iconography and bold patterns. This continues to influence her style today. On top of the drawers in her bedroom is her grandmother’s pink quartz perfume bottle. Inside is the remains of her signature scent, “a not particularly posh fragrance called White Shoulders,” says Genna. 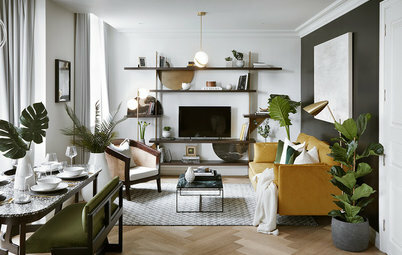 Her grandmother is pictured in the black and white photograph in the middle shelf on the left. 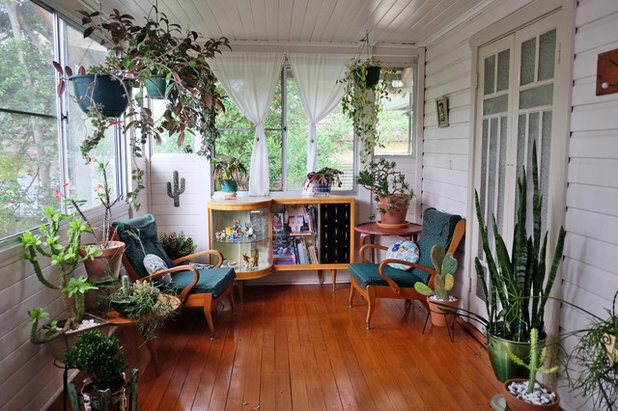 Because Genna also works as a naturopath, she has a consultation area in the front of her house in an enclosed patio. 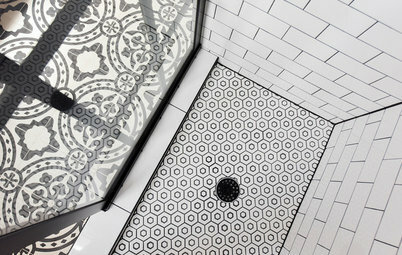 “I want my clients to walk in to the space and feel welcomed and surrounded by life,” she says. Genna’s daughter is shaping up to have a keen sense of style just like her mum. 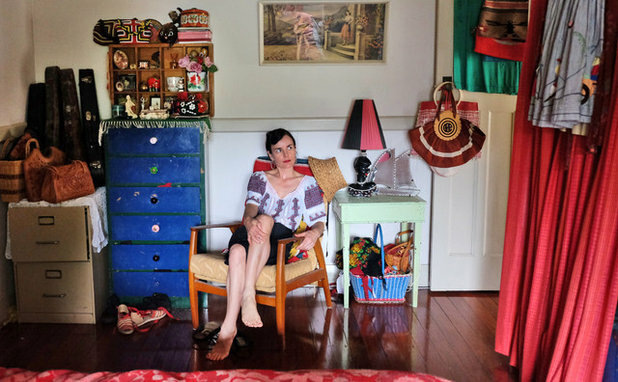 Her bedroom is a riot of colour and fun. 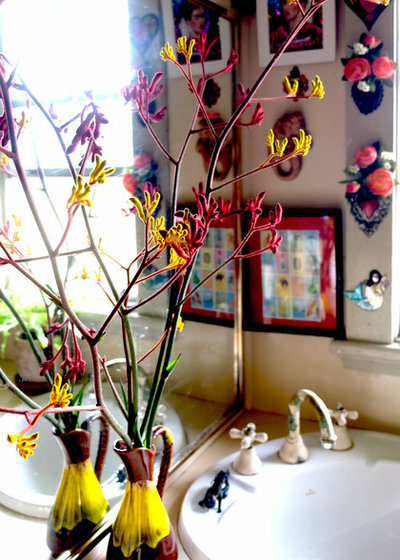 And the family bathroom – which Genna describes as “beige central” – has been livened up with artwork, ceramics and native kangaroo paw flowers. 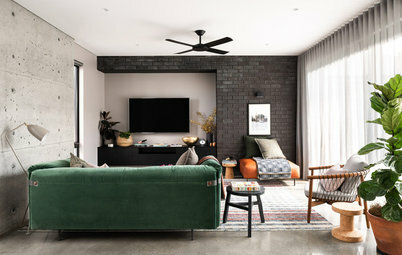 “I do my best to bring colour and fun in here too,” she says. And it works. Have you ever tried a shrub? We’d love to hear your thoughts about the revival of these interesting and medicinal beverages so share your experiences in the Comments below, like this story and join the conversation. You introduced me to something new - I've never heard of 'shrubs' before! Only shrubs I know are those you plant in the garden! 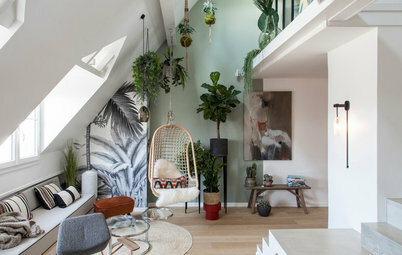 Small trees! So a whole new concept for me! 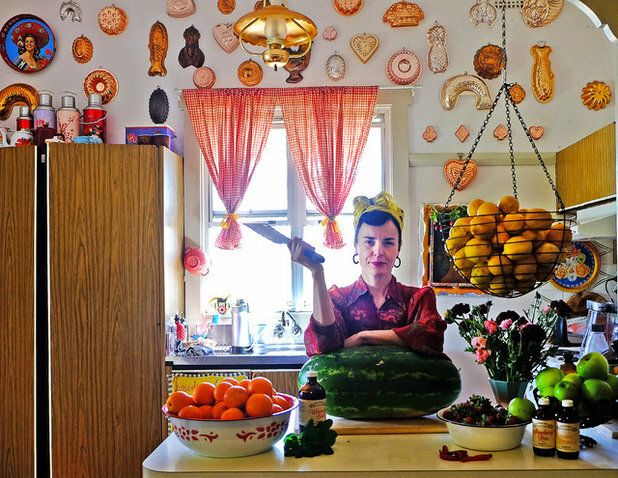 What a fabulous, colourful, happy house ... and such beautiful photos! 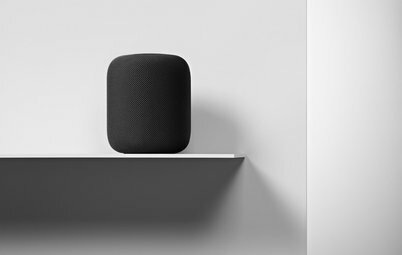 Lifestyle Amazon, Apple, Sonos, Google: Which Smart Speaker is the Best? Should you buy a smart speaker, or are they just a fad and a privacy minefield?